Accessories Included What is included on the package? The M88 offers a 5-stage cleaning, which includes sweeping, lifting, vacuuming, mopping, and drying the floors. It features a MAX cleaning mode for deep cleaning and picking up long pet hairs. It can be controlled remotely from a smartphone. Rank: #11 out of 281. Rank: #1 out of 281. With stair safety, obstacle detection and auto charging features. DEEBOT can be controlled directly from the smartphone but has to download the Ecovacs app. This has a number of sensors which makes it safely climb inclines, cross doorsills and recharge automatically. Charging Time How long does it take the battery to charge completely? Ecovacs Deebot M88 is a very popular option on the higher end of the price range. 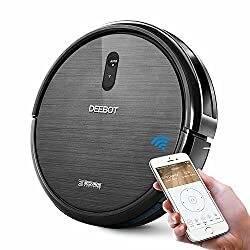 It's in the top 3 bestselling robotic vacuums and has dozens of popular alternatives in the same price range, such as Ecovacs Winbot 830 or Ecovacs Deebot M81Pro . Ecovacs Deebot M88 is $35 more expensive than the average robotic vacuum ($249). Ecovacs Deebot N79 is a top selling option in the middle of the robotic vacuums price range. 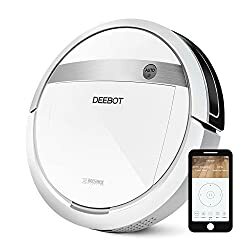 It's a #1 bestseller in robotic vacuums category and has dozens of popular alternatives in the same price range, such as Eufy BoostIQ or Ecovacs Deebot M80 . Ecovacs Deebot N79 is $19.10 less expensive than an average robotic vacuum ($249).